Even after securing the SAFER grant, however, Burge says she was still paying more than she was guaranteed upon arrival. “I’ve had to pay more that 30 per cent of my income since I’ve been here and I’m just one of the really poor people here,” she says. In Canada social housing is defined by the widely accepted CMHC definition, namely that affordable rent should be no more than 30% of your income. “When you’re living close to the edge you can’t afford to be paying out an extra hundred here or an extra $50 there,” adds Burge. Currently the number of seniors “living close the the edge” is worsening in Metro Vancouver, where the waitlist for seniors’ social housing has nearly doubled over the course of the past three years. In 2011, it was widely reported that tenants at the Olympic Village were being overcharged for utilities, receiving each month one bill from BC Hydro, and another from a company called Enerpro. Burge was one of the residents who had gone to the media, sharing a bill that she had received from Enerpro for $85 for the first month living in the Olympic Village. Besides a $12.50 administrative fee, the bill charged for heating, hot water, and cold water. Burge says that new tenants were told nothing about Enerpro at the time they moved in. She says that they were, however, told by Jennifer Standeven — assistant director of business operations in the city’s community services group — that the residents were part of an “experiment.” Emphasis was also placed on the tenants’ personal energy consumption, to the point where residents were “discouraged from having baths,” Burge says. Burge says that when the tenants first received the energy bills they set about trying to form a tenant association. Shortly after, one of the tenants involved received a warning. “Somehow this woman at city hall, Standeven, found out and wrote to us that we could only form a tenants’ committee if we had her permission,” Burge says. No reason was given. In an interview with the Georgia Straight in 2011, Armstrong said that the administrative fee is the only income that Enerpro takes in, and that the rest goes to the city of Vancouver. He also said that while he was concerned that the metering might be inaccurate, he still “supported the notion of individual energy metering, because that’s the only incentive to lower energy use and lower the carbon footprint.” In response to the outcry of the tenants, the city did undertake a study into the building system. After the study was completed, bills resumed in January 2012 and Burge said that the billing had not decreased. Instead, a notice was posted in the lobby telling tenants that the utility bills were comparable to that of any other residential building. Pam’s experience is also inseparable from the controversial history of the city-owned housing at the Olympic Village — a history marked by broken promises, economic ineptitude and political corruption. In the years leading up to the 2010 Vancouver Winter Olympics, the rapid changes in the city were contributing to a tidal wave of displacement. This was ultimately evident in the rising homeless population, whose numbers more than doubled since the city won the Olympic bid. For this reason, promises on the part of the city to provide social housing units at the former Athletes Village gained added importance and broad support. The initial plan was that two thirds of the 1,100 city-owned housing units would be affordable housing, half of which would be social housing for those in core need. But the promise of a post-Games housing legacy at the Athletes Village was first abandoned in 2006 when Sam Sullivan and the NPA whittled down the social housing housing component to 250 units. The Olympic Village developer, Millennium, was then bailed out by city taxpayers two years later, during the 2008 economic crisis. Although Vision Vancouver had criticized the NPA’s broken promises and bailout, once in power Vision whittled down the social housing even further to 126 units, and conducted an even larger bailout for Millenium. Thanks to the bailout, Millenium continues to operate in the city, with a large condo development currently planned across the way from the old Waldorf Hotel on East Hastings. Thom Armstrong, the executive director of COHO, claims that the low-income units are intended to cost no more than a third of the resident’s income, unless the tenant is receiving a subsidy of some kind. According to Armstrong, “what makes these buildings so unique is that there is no senior government subsidy. They have to be viable just from the income that they raise, whether tenants are paying full market rent or below market rent.” In other words, the buildings are meant to pay for themselves, without any external subsidy. From this perspective, the experience of tenants in COHO’s buildings is a result of the city’s withdrawal of funding for non-market housing at the Olympic Village, and a sign of the times as housing operating funding disappears across the country. Posted in Olympic Village. Bookmark the permalink. I live at 122 walter hardwick. I’v been here since the beginning at %30 of my income. It has been trauma after trauma dealing with COHO. I’v been told by the city that they will not be renewing the contract with COHO when it runs out in June. I certainly hope we can do better next time round. This problem absolutely stems from the city; they have offered no support. NONE! I’m still unclear on WHY we are paying some mystery company for the privilege of being ‘monitored’. Not the water or the energy or anything. Just monitoring use! HOW IS THAT A THING!!!! over $10 a month! More than usage of often. OMG, HOW CAN WE THINK ABOUT LOW-INCOME PEOPLE BEING PRICED-OUT OF SOCIAL HOUSING AT A TIME LIKE THIS? MARK BRAND’S SIGN JUST GOT STOLEN!!!!!! NO JUSTICE, NO PEACE!!!!! With the financial challenges that Olympic Village encountered, there is no reason why we should have waterfront subsidized housing at that location. People who need subsidization should certainly live within our city, but don’t whine about losing your waterfront view when 95% of the rest of the citizens that pay their own way can’t afford it either. John Q, regardless of the location, the public paid a significant portion of this development on the understanding that it would be 2/3 social housing, recognizing the public good is served in housing low income people and families. They lied, lied, lied about it, every last one of them. OUT with Vision, OUT with the NPA, lets get some people in government who aren’t in funded by and working at the behest of developers. John Q. What a callous comment. Buildings do not encounter financial challenges. Companies that mismanage and build experimental structures with no thought about whether these structures will stand the test of time do. What is absolutely appalling about this situation is that residents who do not have the luxury of shelling out a few dollars for extra food are being forced to move their entire households because of false promises made by these same companies. Downloading costs onto impoverished residents is disgusting behaviour, and these people are not “whining about losing a waterfront view” as you so idiotically put it. They are struggling to make ends meet as it is. Shame on you. John Q. where exactly do you see any whining about losing a waterfront view? Nobody has said anything about that except you. Typical straw man argument. Grow up. The real issue is the lack of federal funding for housing. Cities are being asked to bear a burden of dealing with housing, which is not only unrealistic but it removes focus from where it belongs: renewing a federal housing program! 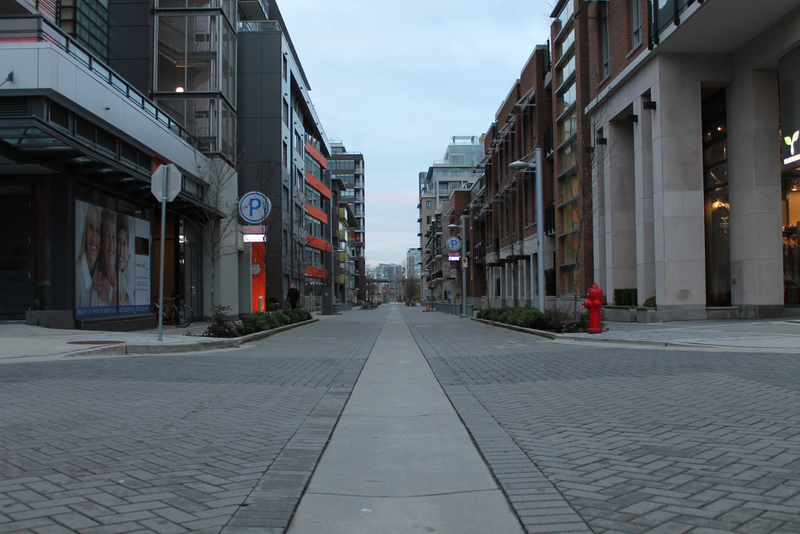 City of Vancouver does not have the resources to fund new social developments. This is not because of mismanagement: it’s because it is outside the scope of thier mandate! Absolutely agree with this. The federal government’s funding programme in mid-20th century led to construction of the majority of the rental apartments in the West End. We need that kind of widespread building again. thanks for writing this. it’s an important piece. Thank you for writing the above article. I live in 80 Walter Hardwick. I pay 30 % from my income for rent; $32 for BC Hydro; and heat, hot and cold water another $28 per every month. Now, these amounts are based on minimalistic consumption. I cannot afford to shower more than 3 times a week and do dishes and laundry with as little water consumption as possible. My frugal consumption habits corresponds to the usage levels of less than 30% of an average person in BC. If you calculate by using these amounts I pay vs. consumption vs. income; you get the real facts and percentages. I have lived here from February 2011, and I did not receive heat in 2/3 of my apartment until after January 18, 2013 as one of the heating zones did not have a thermostat; three zones and two thermostats (in the beginning we had no heat at all). The main area of apartment; kitchen and living room had no heat for 23 months. 2013 I requested City and Coho to adjust the billing to reflect the fact there was no proper heat. To this day they have not done so or responded back to me? When I complained about the heat issue before my major surgery last November/October, no one bothered to contact me. Sure enough after my cancer surgery with a two foot incision, I had to ask them to fix the heat for Christmas 2012. This didn’t happen either; problem was not fixed. I heated my apartment with electric oven instead, therefore BC Hydro bill went up from the usual $30 per month to $42 plus. I figured on my own, in the beginning of the new year 2013, that there must be an unheated zone. I was right (former engineer). Now, some residents have recently received letters with pay up or else … eviction option; we have not received one yet. Also, during the same time period from Feb 2011 to Jan 2013, my spouse was harassed, threatened, and physically assaulted by a disturbed resident after many warnings were ignored by the City and Coho. Police reports had been filed on every incidence and provided to the management and landlord. The person has been charged with criminal harassment of three individuals, and is out on bail with conditions to stay away directly or indirectly. This man is still living here just a rock’s throw from us; one floor below us? Instead of Coho or City being reasonable; my spouse received an eviction letter? The offender/aggressor continues to be on bail despite the fact he had broken a window in his apartment during one of his “fits of rage”, which was a direct violation of his bail conditions; peace and quiet living. I was told this by a fellow resident. My spouse verified this was factual and Coho did not report this. A lot of issues have been brought to my attention by some fellow residents. The City was told this aggressor had guns in his apartment. The police tried to remove the guns for a week and then gave up. I cannot enjoy the third floor rooftop garden or the lounge not to mention my apartment, for example, not to mention sleeping or walking freely on the streets. I have no other option, but to involve police like my spouse had to. Now, this male resident “the aggressor” has been sending “his friends” to do his dirty work. He has tarnished and poisoned with his false accusations, delusional and fictious stories three people’s lives. Now, he is trying to ruin mine as well. The agressor has tried to get his former disabled girlfriend (in a wheelchair) evicted from a False Creek co-op building away from here, just because she left him. I’m being followed and harassed by other one of the aggressor’s girlfriends nro 2 living below us in the same 80 Walter Hardwick building. This woman has walked around in the building telling to other residents that “Person X (me) doesn’t have cancer and so on”. Mr. Aggressor and his girlfriend nro 2 have made lot of false accusations, which have been proven over and over again false or manipulative lies. Yet, Coho and City have decided to continue supporting and patting the heads of some misbehaving residents over and over again without enforcing the rules and regulations, for example, excessive smoking or noise. I have had to put up with smoking for two years. Anything goes. Then City and Coho turn around and “blame me for malicous gossip and so on” just because I reported nine of my plants stolen and having identified at least two of them in the roogtop garden of this male aggressor’s girlfriend nro 2? Supposedly this is not evidence according to the property manager. I thought always that any evidence is evaluated by the judge? In our case Coho and City have neglected to protect us though lack of enforcement regading some residents behaviours. They have chosen to act as judge, jury and prosecution not to mention as a Doctor. After my confidential contact with senior City official, another resident was contacted by this official and she asked from this fellow resident, if “we had a lawyer”? Since I get no co-operation from the City or Coho other than intimidation, I’m forced to lawyer up. As any idiot knows this will create more stress and cause my life to be shortened. Advanced cancer patients are susceptible for other diseases due to immune system issues, and therefore cannot handle much stress. This building is nice otherwise, but when you have to deal with other people’s problems, which they dragged here with them … what can you do when mine or my spouse’s pure existence here annoys them and entiles them to gossip. If anyone has any suggestions, or interested in my story please contact me. Only four tenants have partial water views out of 67. 75% have street views and only 11 units have garden views. Now, back to the issue at hand when your earnings/income/pension is less than $1000; 30 % towards rent doesn’t leave much left. The low incomes also are hit harder than higher in case of all of a sudden medical bills towards, for example, meds for cancer treatments. Yes, getting ill and being on low income is such an irresponsible thing to do, and requiring affordable or low income housing, right? I live here; pay my bills on time; non drinker and non smoker; no drug addictions; worked 23 plus years and then bang some idiot crashed into my vehicle. ICBC did not pay; I lost my home because I could not work. I ended homeless, sick and stressed out, and then another bang I got terminal cancer. Do I deserve to live here like anyone else? Absolutely, yes. Yes, you do deserve to live there. You are just as valuable as the next person. I hope for a miracle for you in regards to your health. Thank you for reading my side of ongoing events! This is only going to get worse. In 2020, all the federal subsidy for existing co-ops will disappear. Where will all the subsidized tenants go then? It’s depressing that we can’t say, as a society that benefits from income disparity, that we will at least ensure those at the bottom can have a roof over their heads. Rita M… seems like a hard place to be. Hope for you and yours. honestly. $1000 a month? rent $300 month? That’s tight but not too bad. I live with rommates and still pay over $700 for rent….. Oh yeah… And I live a healthy happy life for UNDER $700/month spending on top of that. Maybe you should look more into money managment instead of asking the city and it’s tax payers to subsidize you. @This Guy: Maybe you should look into making an effort to be more compassionate. You just criticized a cancer patient for having difficulty living a healthy happy life on limited income. Please think about that. Thanks Jim for constructive comments. Rent plus utilities equal about 40% plus of my income … I live ‘live happy life’ the best I can despite of cancer. I do not spend – I cannot afford to – instead I take my wheelchair for sea wall ‘walks’ for fresh air and relaxation. should I put this listing on my application for affordable housing?